Debbera Peoples-Lee was appointed as WOLCS CEO in 2006, bringing with her a strong background in business operations, marketing, and management. Her experiences span local and national levels in the public, academic, and not-for-profit sectors. Upon taking the helm at WOLCS, Dr. Lee restructured the charter school’s administrative functions, creating two respective divisions to oversee business operations and academic management. Under her leadership, the charter school demonstrated a sharp increase in assessment scores stemming from state-mandated testing. Her professional affiliations include the American College Health Association, American College of Healthcare Executives, American College of Occupational & Environmental Medicine, American Public Health Association, NAACP-Willow Grove Chapter, National Association of Health Services Executives, Pennsylvania Coalition of Public Charter Schools, and Zeta Phi Beta Sorority, Inc. Dr. Lee earned her Ph.D., in Public Health at Temple University and holds a Masters of Science Degree in Health Care Administration from St. Joseph’s University. 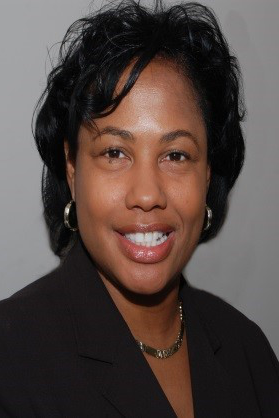 Sheila Royal-Moses joined the WOLCS team in 2006 as the charter school's Chief of Staff. In that capacity, she has provided support to the CEO in the areas of leadership, budget management, strategic planning, professional development and policy development. She was appointed as Chief Academic Officer in 2011 after serving in an acting role for several years. Ms. Royal-Moses has a broad background in education, with experience in higher education, as well as K-12 public, private, and charter schools. Prior to coming to WOLCS, she served as Deputy Chief of Staff and Director of University Partnerships for the School District of Philadelphia, Vice President of External Affairs for Victory Schools Inc., Director of Business Development for Advantage Schools, Inc., Assistant Dean of Student Affairs for the University of Pennsylvania's School of Dental Medicine, Director of Enrollment Management for the Graduate School of Education at Eastern University, Director of Lower School Admissions for The Baldwin School and Assistant Director of Admissions for the Graduate School of Education at Columbia University. Additionally, she has served as an adjunct professor for the Graduate School of Education at Rosemont College. In her years as a public school administrator, Ms. Royal-Moses has primarily focused on bringing innovative approaches to urban public school organizational structures, along with innovative approaches to managing the core functions of urban school environments for the purpose of improving the quality of education and teaching in low performing schools. Ms. Royal-Moses received her BA degree from Temple University and her M.Ed. in Multicultural Education from Eastern University. Michele Jones joined the WOLCS team as Director of Development in 2014. 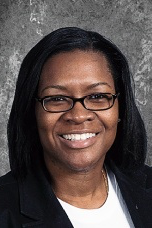 In this role, Ms. Jones is a member of the school's administrative leadership team. She is responsible for leading the School's advancement program as adopted by the Board of Trustees. She is also responsible for developing and maintaining active and productive relationships with board members, donors and administration. Ms. Jones has a broad background in research and development. Prior to coming to WOLCS, she served as Manager of Partnership Development and Community Relations for Fox Chase Cancer Center, Director of Development for Sacred Heart Manor, Director of Business Development for Cambridge Retirement Communities and Director of Utilization Management for the Institute of Pennsylvania. Through her work, she has become known as a leader, acquiring several citations and awards for her outstanding accomplishments. 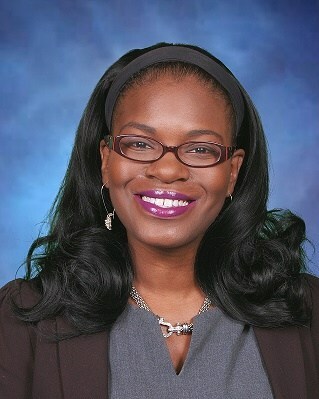 Ms. Jones holds a Masters of Science Degree in Health Administration from the University of St. Francis, a Masters of Social Work Degree from Lincoln University, a Leadership Certificate from Temple University, and is currently a candidate for the Masters of Bioethics Degree from the University of Pennsylvania. 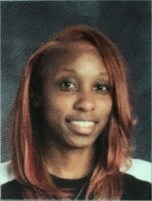 Charletta Zeigler was hired as a first grade teacher at WOLCS in 2001. While in that role, her leadership skills were evident. Through her position as grade group leader and unofficial facilitator of the school’s reading program Ms. Zeigler organized the program and made certain that teachers received all of the essential instructional materials. In 2005, Ms. Zeigler was promoted to Literacy Specialist and has worked strategically to enhance the quality of literacy instruction, to raise the level of student achievement, and to instill a life-long love for reading among WOLCS students. Ms. Zeigler completed her Master’s degree in educational leadership and was promoted to Lower School Assistant Principal in 2010 and then to Principal of the Lower School in 2012. In the summer of 2014, Ms. Zeigler was promoted to Principal of the entire school, grades K-8. Her focus in this role continues to include enhancing the literacy program at WOLCS. In addition, she is committed to building the capacity of teachers to deliver effective instruction across all content areas. Frequent classroom walkthrough’s as well as formal observations are tools for delivering constructive feedback to strengthen pedagogy. Ms. Zeigler received her Bachelors of education in Early Childhood and Elementary Education from Chestnut Hill College in 2000. She went on to complete her Masters of Education in Teaching and Learning from Lock Haven University in 2005 and then received her Reading Specialist certification, K-12 from Arcadia University in 2007. Most recently, Ms. Zeigler was awarded a second Master’s degree in Educational Leadership and received her Principal’s certification. Having previously worked with the Department of Human Services providing intensive case management to children and their families around attendance issues, Peguy Saintil-Middleton initially joined WOLCS to assist with truancy prevention. Since this time, she has progressed through a series of responsibilities, currently serving as the Middle School Dean. In this capacity, Mrs. Middleton works with staff and families to support overall student well-being and success. Krystle Johnson joined the WOLCS team in July 2017 as the Dean of Students for lower school (K-3). In this role, Ms. Johnson will support the buildings climate and culture. 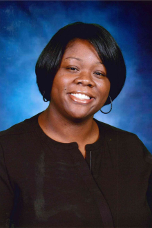 Ms. Johnson has worked in the education field in both the traditional brick and mortar, and cyber school education settings, as a Teacher, Social Services Liaison, and a Dean of students, supporting families and students achieve academic success. She will continue this journey everyday at WOLCS, striving to support the teachers, staff, families and their students earn a world class education, to become future world class citizens. Ms. Johnson earned her (B.S.) Bachelor's of Science degree in Sport and Recreation Management from Temple University, and her (M. Ed.) Master's in Education degree from Cabrini University. Mrs. Davis-Thompson started her career at WOLCS as a Special Education Teacher for grades 7 and 8, transitioned to the Special Education Coordinator, and now holds the position of Director of Special Education. 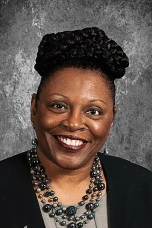 Mrs. Davis-Thompson currently holds an Instructional I and Instructional II certification in Special Education N-12 and Special Education Supervisory Certification. She has a Bachelor's degree in Special Education from Shaw University, Master's Degree in Alternative Education from Lock Haven University, and a Master's Degree in Educational Leadership from Edinboro University. Mrs. Davis-Thompson's passion for student success drives her ambition to educate herself so that she will continue to lead the Special Education program at West Oak Lane Charter School in the direction of student achievement.